You will probably not win the lottery, create the next Google or be entitled to a significant inheritance. Most of us can not just go out into the marketplace and double our income overnight or find a million dollars. Whether a person builds substantial wealth in their lifetime is left up to the decisions they make and the actions they take. Anyone can achieve their financial goals if they have a plan, use discipline in executing that plan and take actions in accordance with a financial destination. I do not pretend to be a financial expert but I do know that I have survived multiple recessions, bad business decisions, built three businesses from scratch, started with no money and have successfully built both my net worth and income. Building a millionaire net worth is very achievable regardless of your income even when things are difficult. 1) Make A Decision to Create Wealth for Yourself There is nothing wrong with being wealthly, and there is a lot of pain associated with being poor and despite what you may think it is available to everyone not just a select few. There are trillions of dollars on this planet and those that go after it are more likely to attract it. Decide you want to build net worth and make all your decisions based on that. If you never make this decision it probably will not happen for you. Do the math. 1,000,000 over 20 years mean you have to save 50,000. This requires that you a) produce income, and b) save the money. If you want to reduce how long it takes then you will have to get the money to grow. The only way to do it faster is to create something that makes you a millionaire but typically that will even take money. 2) Stop Spending Your Future Wealth To create real wealth you must quit spending your future wealth on goods and services that you want today but deprive you of wealth long term. I enjoy spending money as much as anyone but I don’t do so until I have my wealth created. You aren’t just wasting money, you are spending funds that are going to make you a millionaire. Did you know if you started an account with $200 and then saved $200 a month every month for the next 30 years and it if that money earns 8% a year you would accumulate $295,642. That wouldn’t make you a millionaire but it would get you going in the right direction. So what if you put 600 a month away? The rule for me on spending is once have taken care of my savings and ensured my financial future then I spend whatever I want on whatever I want but not until then! Understand that if you only waste $2000 a year each year over the next thirty years you will have wasted over $600,000. It is important to realize that it’s usually not just one item or one habit that must be cut out in order to accumulate sizable wealth (although it may be). 3) Lastly and most importantly for those that don’t want to wait 30 years. Learn everything you can about selling, marketing, getting attention, networking, and promoting. Money tends to follow those that get the most attention. Your ideas and your products have no value if no one gives you or them attention. The faster you can create attention the faster you will create income and the more powerful you become with attaining wealth. 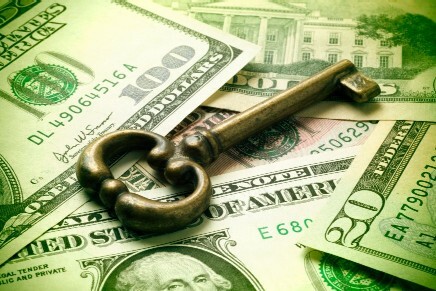 Sales is the fastest way to create income and new income is required in order to build true wealth. For any idea or product to turn into revenue and then wealth it must be sold. Learn everything you can about selling in the 21st Century!